ABSTRACT: Predation by the introduced red fox and domestic cat has driven the decline and extinction of many Australian mammal species. However, there is far less evidence available on the extent to which these predators have had an impact on Australian bird species. We used a recent analysis of the density of feral cats across Australia, and a collation of results from many studies of cat diet, to derive estimates of the numbers of individual birds killed by cats in Australia (per cat, per km2 per year, and per year across Australia). The highest kill rates by cats are on islands, in heavily modified environments and in arid areas. We also scoured the literature, museum records and other sources to collate records of about 350 Australian bird species (including about 30 threatened species) that are known to be killed by cats. Predation by cats is most likely for bird species that nest or feed on the ground, occur on islands, and weigh 100-300 g.
We conclude that it is likely that predation by cats is having a chronic impact on the population size and conservation outlook for many Australian bird species, and that there is much scope for more targeted research on population-scale impacts of cats on individual bird species. BIO: Professor John Woinarski is a conservation biologist with many decades of experience spent in research and management of many different components of Australian biodiversity, particularly in northern Australia. He has also been substantially involved in the development and application of environmental policy. He is currently a Deputy Director of the Threatened Species Recovery Hub of the National Environnental Science Programme, and is based (virtually) at Charles Darwin University. He has authored and edited seven books, and more than 200 scientific papers and book chapters. The most recent major publication is the co-authored Action Plan for Australian Mammals, published in June 2014. 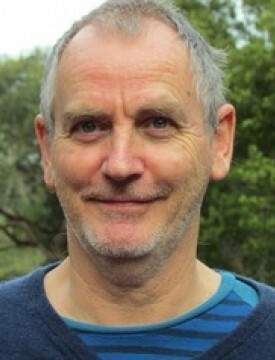 His work has been recognised with the Eureka Prize for biodiversity research (2001), the Serventy Medal for life-time contribution to Australian ornithology (2001), the Northern Territory Chief Minister’s Award for Research and Innovation (2008), and the Australian Natural History Medallion (2011).